I've been tagged in a meme by my lovely blogging buddy Sarah from Hello Wall. The idea is very simple, all I have to do is embarrass myself by telling you the celebs that I have been compared to over the years. I say embarrass because for me, it really is. 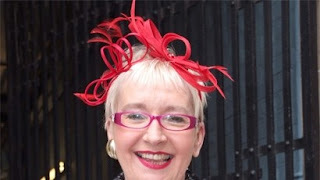 Su Pollard: Now.. it has to be said that Su Pollard is considerably older than me.. and I'm not saying that to be mean, she was born in 1949 and I was born in 1982. You must be wondering how this all started. I hope you are. It was May 1995, my 13th birthday party, and I had my friends over for a girly sleepover in a tent in the backgarden. I had a bob with a fringe and stupid big glasses.. and my friends had crimped my hair. They all thought it looked fab. My Mum pops out to check on us and declares "Oh! Alex! You look just like Su Pollard in Hi-Di-Hi!". That was it.. everyone bar me was hysterical and my friends all decreed it to be true. To this day I still have to go around doing stupid impressions of dear Su. The thing is, I'm not really offended by this. If I am as wackily and brightly dressed as she is when I'm her age, I'll be pretty happy. 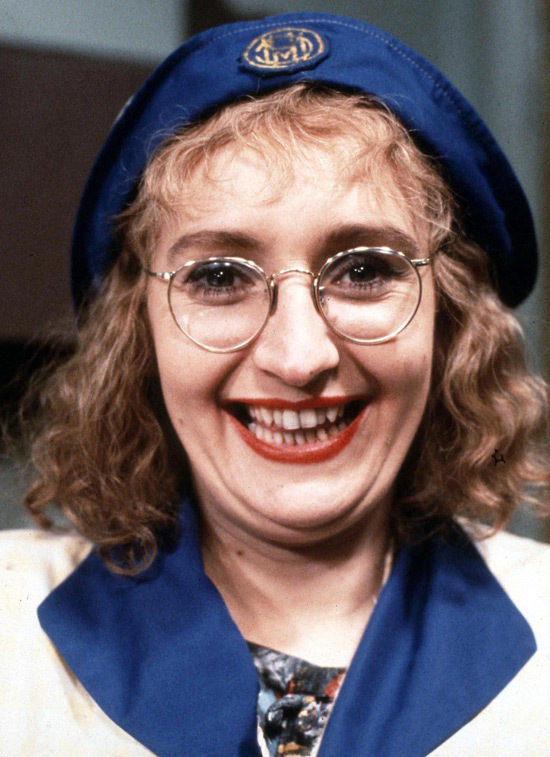 Boy George: My Mum is so complimentory. She obviously wasn't ever concerned about damaging the delecate psyche of a teenage girl. Like many girls, I used to plait my hair in as many tiny plaits as I could when it was wet and sleep in it to get a wavy/cury/crimped affect the next day. I did this a lot, it was always fun. 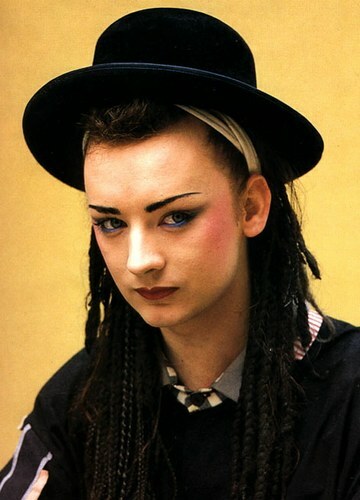 The trouble was that whenever I did and my hair was in the plait stage, my Mum would always kindly liken me to Boy George. 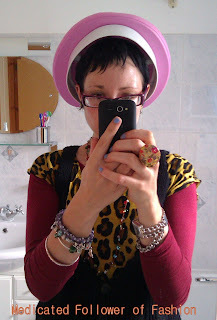 She still likes to trot out the Boy George thing to this day... "Oh, you look like Boy George in that hat/make up/dress". Nice. Not really any wonder I ended up obsessed with Rocky Horror and a raging desire for men in fishnets and basques aged 16 is it. Thinking about it, it was my Mum who too me to to see Rocky Horror for the first time with her W.I. group. Yes, that's right, her W.I. What do you think? Can you see the resemblance? Do I want you do? Do you think I look like any celebs? Let me know what you think using the comments box. Have fun gang, join in if you wish, and if you do, don't forget to tweet me! I am weeping with laughter at the potty seat on your head!! Hilarious!! And I LOVE that you went to Rocky Horror with the WI! I can see your vibrancy is akin to Su Pollard! I know. I am strange, it's true! Vibrancy - that's a good way of looking at it! Mahaha! Ooooh will try and get round to this promise! Hilarious! I think you are doing yourself a total injustice! Although, I'm pretty sure a lot of girls in the 80s wanted to emulate Boy George's look!